According to TVLine, USA Network has officially revealed the title for the forthcoming Suits spin-off series that will be led by Gina Torres. The new drama will now be called Pearson, named for Torres’ character. The spin-off series will be centered on powerhouse lawyer Jessica Pearson (Torres) as she adjusts to the dirty world of Chicago politics. The cast includes Morgan Spector (Homeland) as Mayor Bobby Golec, Simon Kassianides (Agents of Shields), Bethany Joy Lenz (One Tree Hill) as Keri Allen, Chantel Riley (Wynnona Earp) as Angela, Isabel Arraiza (The Oath) as Yoli and Eli Goree (Ballers) as Derrick. Pearson is executive produced and written by Suits creator and executive producer Aaron Korsh with Universal Cable Productions (UCP) producing the show. Daniel Arkin will served as its executive producer and showrunner . Doug Liman, David Bartis, and Gene Klein of Hypnotic (Suits) and Torres are also set to executive produce. When Suits began more than seven years ago, Jessica Pearson was introduced as managing partner of one of New York City’s top corporate law firms. Through the years she remained a highly respected, formidable lawyer who helped lead her firm through the darkest times. Always putting her professional life first, Jessica left New York to follow her heart to Chicago in last year’s mid-season finale. She has made many triumphant returns to the Suits world since and will introduce her new journey in the Windy City during the Season 7 finale, airing Wednesday, April 25, where she will rely on her wits and relationships from Pearson Specter Litt to navigate this unknown territory. This spinoff marks USA Network’s second commitment to Suits this year. Last month, the network renewed the flagship series for Season 8 and announced the addition of Katherine Heigl (Samantha Wheeler) to the ensemble cast which also includes Gabriel Macht (Harvey Specter), Sarah Rafferty (Donna Paulsen), Rick Hoffman (Louis Litt) and new series regular Dulé Hill (Alex Williams). This announcement also follows the recent news that series regulars Patrick Adams (Mike Ross) and Meghan Markle (Rachel Zane) are departing Suits after the seventh season. The final eight episodes of the seventh season of Suits will begin airing on March 28. 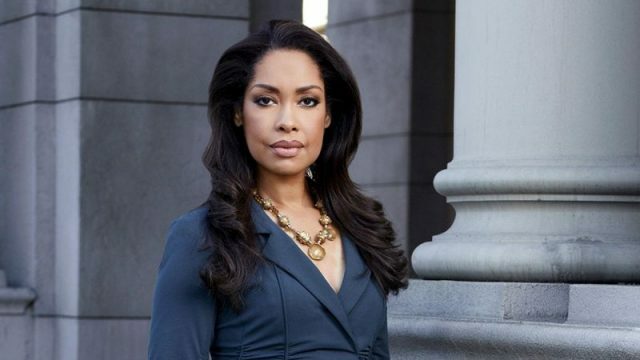 The post Gina Torres’ Suits Spin-off Series Gets an Official Title appeared first on ComingSoon.net.